Launched last year at the Waterside Leisure Centre on Canvey Island, with representatives from Concord Rangers FC, Castle Point Leisure Services and Essex County Football Association. 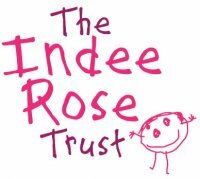 The team meets on a Saturday Mornings starting at 10.45am until 12.15pm for the over 50s with only a £2 contribution for each session. Walking football is one of the latest crazes in the football world. It’s an activity that gives individuals the chance to play a sport they love and provides a sociable environment for those looking to get more active in their spare time. Played all over the UK it gives those over the age of 50 a chance to keep fit with like-minded people. When the brain is still sharp but the legs won’t work as quickly as they used to, or arthritis is setting in, we settle for going to watch our favourite sides whether professional or local, and dream about the days when we enjoyed the company of other players. However we don’t need to dream anymore because we can still enjoy that same feeling in a more sedate way, through walking football. Played on an artificial surface, there is no problem about not being quick enough because you are penalised if you run! You just walk, albeit a bit quicker than strolling, but it is what it says on the tin. 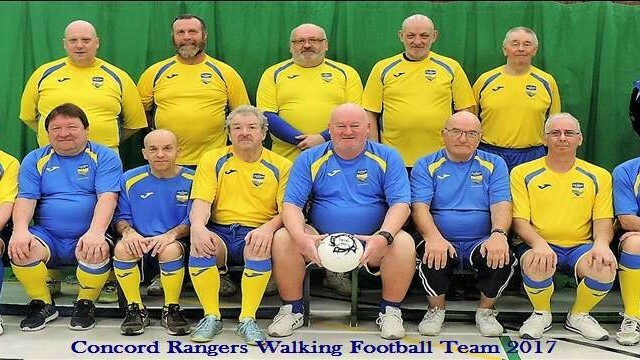 Concord Rangers Walking Football Team are looking for new members to join them on a Saturday morning and also to play competitive matches in the new Essex Walking Football League, in which we have two teams. Contact Paul Ashley on 01268 698491 for more details, also find us on Face Book search for Concord Rangers Walking Football and Twitter Account @Concord WF. Narrative:- Walking Football has been launched in League form by Essex FA, albeit there are a number of other Leagues around running independently. Currently there are over 800 teams in differing Leagues throughout the country. First played in 2011 by the Chesterfield FC Community Trust (now the 40-strong Chesterfield Senior Spireites FC), but it was a 2014 Barclays TV ad featuring a bloke called Roy extolling the wonders of walking football that took the sport to the masses.